What is Phentermine? 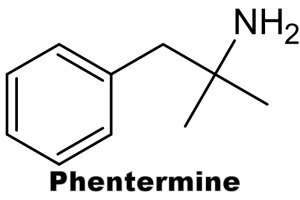 Phentermine is a short term appetite suppressant to help reduce weight in obese patients, supposed to be used as part of an exercise and diet regime. It is prescribed to obese patients who are at increased medical risk due to their weight. What is Xanax? Xanax (AKA Alprazolam) is an FDA approved drug for the medical treatment of panic disorder, anxiety disorders and social anxiety disorder (SAD). Xanax is the most misused benzodiazepine on the U.S. market!!! 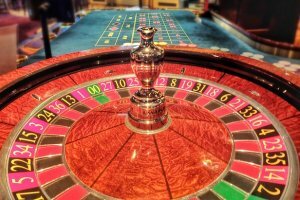 What is Blackjack? Blackjack (AKA twenty-one) is the most widely played casino banking game in the world. Pretty simple gambling card game, the person who gets closest to 21 without going over 21 wins. I could see someone missing this as spam, but the activated WordPress plugins caught this one which is presumably because of the keyword phentermine in the URI. Isn’t the norm for my blog, looks like most of the automated comment spammers have learned loading the text of a comment with their keywords results in their comment being caught easily so they add what looks like a real comment and just spam the one backlink. This viagra one is quite advanced, still easy for Akismet or the built in SPAM protection built into Stallion Responsive to deal with, but it has a comment title: comment titles are a Stallion Responsive Theme Feature! As you can see from the screenshot above it has a unique comment title “Order viagra generic no medication” and comment titles are a rare feature on WordPress blog. I’ve seen the Stallion Responsive comment title filled MANY times before, but it tends to be a copy of the authors name, copy of the comment or a copy of the posts title, interesting it’s a unique item of content. I don’t check comment SPAM to this level very often, I assume this is automated comment SPAM software that’s created this. Stallion includes a SPAM honeypot for this type of SPAM, basically SPAM bots tend to fill all form fields with content, by adding a hidden form field a real user can not see, if a comment includes content in the hidden field it’s SPAM and Stallion marks it as SPAM automatically (catches a lot of automated SPAM). I comment spammed many years ago just prior to it becoming a blog epidemic so I guess I owe a blanket apology to any bloggers, guestbook or forum owner (or other sites) I spammed for backlinks. The reasons I comment spammed are no different to why our Phentermine, Xanax, Viagra and Blackjack (oh my) friends are spamming my blog today, it’s money. If a comment spammed link counts as a backlink to Google the site gains valuable PR/link benefit which increase it’s SERPs over time. For example in a short period of time using link spamming techniques I managed to take my new online Lingerie business from a trickle of organic traffic per day to up to 8,000 unique visitors per day just before Google banned it (presumably for comment spamming) Now it languishes at around 1,000 visitors per day with traffic mostly from Yahoo and MSN (lingerie traffic is very low quality, so 1,000 visitors isn’t enough to run a successful business, so that sites gone affiliate now). You’ll note my site was banned from Google, that’s what you risk if you comment spam or use any black hat SEO techniques, don’t believe anyone who tells you comment spamming is risk free because Google can’t possibly link the spam directly to your site, a competitor could have made those comment spammed links and so it would be unethical for Google to ban your site! It is quite easy now to find banned sites that have comment spammed, look up the MT-Blacklist (A Movable Type Anti-spam Plugin) and check the backlinks on both Google and Yahoo for a random sample of blacklisted sites. You will find quite a lot are low or no PR despite thousands of spammed backlinks on Yahoo (Google banned them). So if you care about the long term success of your site don’t comment spam, there are much better ways to gain traffic that work long term (building content is the best approach). Also comment spamming is a full time job (though easier now there are automated scripts) and so to keep the links/PR you’ll be link spamming indefinitely! Goggle is also getting better at dealing with link spammers for example the now infamous sandbox effect is almost certainly a side effect of comment spamming (and purchasing links). Google now delays links benefit, so a link added today won’t pass significant link benefit for around 9 months (possibly as long as a year) even though the Google PR tools shows the correct PR at the next update (very misleading). Since spammed links tend to have a short life span (at least on high PR pages) link spammers will find it an up hill struggle to build up enough link benefit to rank high. Although controversial the rel=”nofollow” attribute gives bloggers the option to prevent link benefit from passing to commenter’s links. Unfortunately this also hurts legitimate commenter’s caught in the crossfire. Though I’m finding I could remove this attribute from WordPress since the plugins I’m using have so far caught all but one spammed comment and that one was clearly manually created. Many content management systems (CMS) like WordPress by default add the rel=”nofollow” attribute to links added to comments, if you comment SPAM on a WordPress blog for example the links pass no PR or link benefit (SEO benefit) unless the owner of the site has installed a do follow plugin: a do follow plugin removes the rel=”nofollow” attribute. The vast majority of comment SPAMMED links pass no SEO value, even those on dofollow blogs are more often than not going to be deleted before the links pass SEO benefit (takes around 9 months to pass decent link benefit from a new backlink) or there are so many links (when SPAMMERS find a do follow blog they ALL SPAM it to death) the benefit is practically zero. Add to this Google is looking for unnatural links (research Panda, Penguin and Hummingbird Google algorithm updates) and the SEO value of comment SPAMMING is almost zero, in fact it’s worse than zero, you’ll get caught out eventually and possibly Google banned. Might regret this, but I’d be interested in comments from link spammers! Particularly interested to hear from those who have been link spamming for years, are you finding the spammed links are not helping as quickly/as much as they used to? When I link spammed (in 2003) I found the links made a significant difference in as little as 10 weeks, but links today (not spammed) are taking up to a year or more to work!!! How have you been doing? I don’t know if it’s good to ask you. My blog has mostly the comment spams in what they make me irritated. I am so wondering how to block such comments. I am also considering the discus comment script but I don’t know where and how to place it into my blog. One more thing, if I do like that, it may be difficult for visitors to see what posts have the most comments. 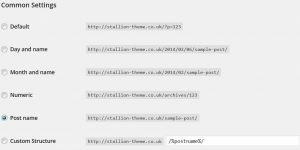 I’m afraid the vast majority of comments are SPAM, I find the best solution is Akismet Plugin (free version).